We all know that the first thing people notice about a product on the shelf is the package it comes in. Grabbing the customers’ attention before the competition is vital. Regardless of the product information and features, the customer may not even consider the product for purchase if the custom packaging lacks an exciting, creative design. Bright, high definition graphics to subtle, organic visual styles; the presentation of the packaging is a powerful ally in the battle for retail space. Our custom boxes pair showmanship with security--flair with functionality--and create dynamic, attention-grabbing product packaging that will have the customer grabbing your product off the shelf before the rest. 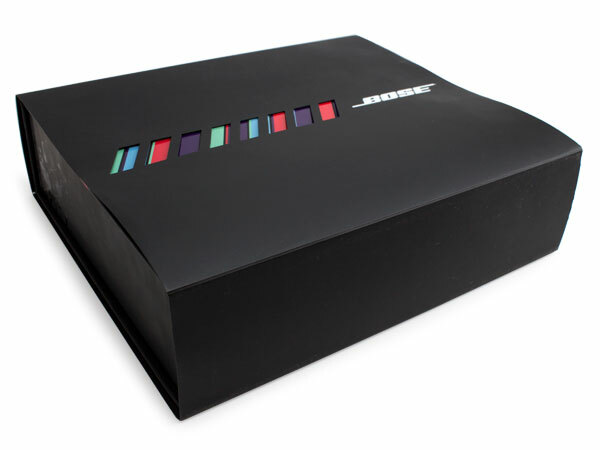 Our best-selling mag-box packaging offers total personalization for your custom promotional marketing needs. 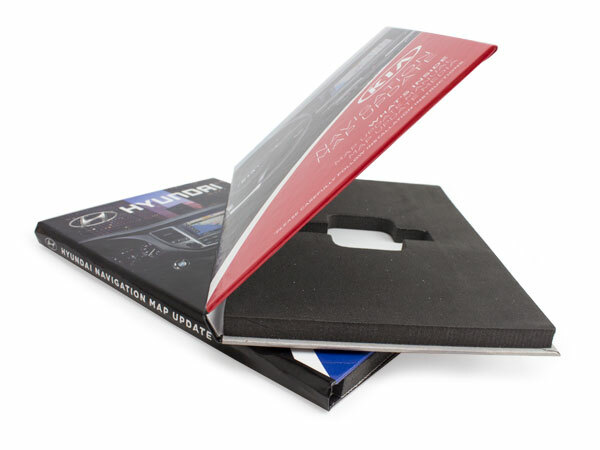 Digital printing, embossing or debossing, foil stamping and lamination that give a soft feel to the box are all available to set your promotional or press kit apart. Add die cut foam inserts or thermoformed plastic trays to any of our marketing boxes to separate and hold printed material, your special items and flash drives snuggly and securely. Give your customers the gift of a memorable unboxing and a sharper display to make your products pop at retail. Or start your new campaign off with a bang--design a product launch kit announcing your product to the world and clearing a path for a retail boom. When you partner with Sunrise Packaging, you've already enhanced the engagement of your brand. The decision to add stylish upgrades to your custom box marketing kit, will give you a big boost in visibility and you'll make more than a splash in the marketing pond--you'll blow the competition out of the water. Allow our decades of experience in luxury packaging give your product or organization a boost with our custom marketing kits packaging. 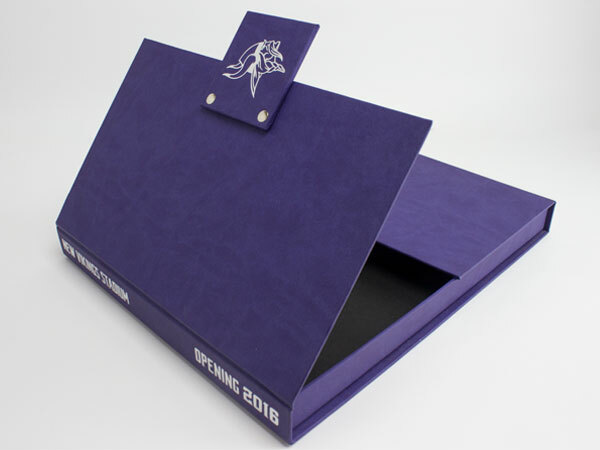 Minnesota Vikings gate fold box with silver foil stamp on purple material. 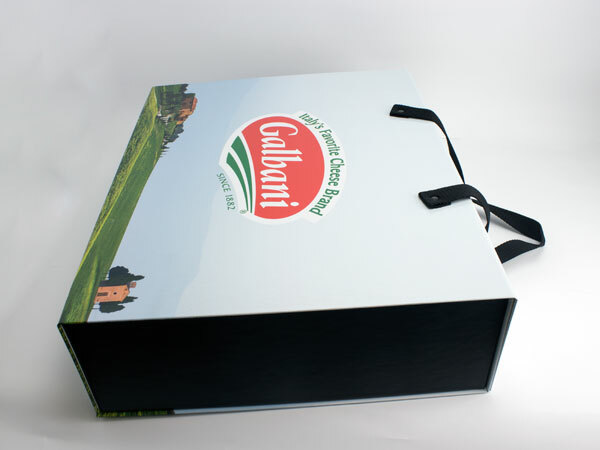 Custom Galbani Cheese Kit printed four color with gloss lamination. 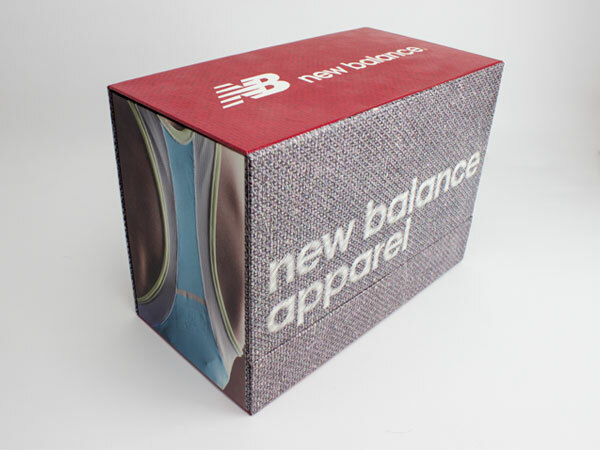 New Balance front open box with four color print and soft touch lamination.